Upper Hand Press: First Loves: Independent Bookstores Close to the Upper Hand Heart. PART 2. First Loves: Independent Bookstores Close to the Upper Hand Heart. PART 2. Ann Starr's first reading tour for Sounding Our Depths: The Music of Morgan Powell during the fall of 2014 introduced her to several more outstanding independent bookstores, lengthening the list begun in our first post by Mac's Backs, Jane Addams, and Buffalo Street Books. A bookstore that smiles is in Oberlin, one of Ohio's great college towns. MINDFAIR ("The Book Lovers' Book Store") nestles inside the local Ben Franklin store. I thought that's where one goes to get tube socks and pet turtles. Krista Long's version lacks ephemeral pets, but it offers lots of old-fashioned, hand- or wind-powered toys, fabrics and notions, and day-to-day essentials like those snuggy socks and stacks and stacks of books——all with very nice young staff to help you out. 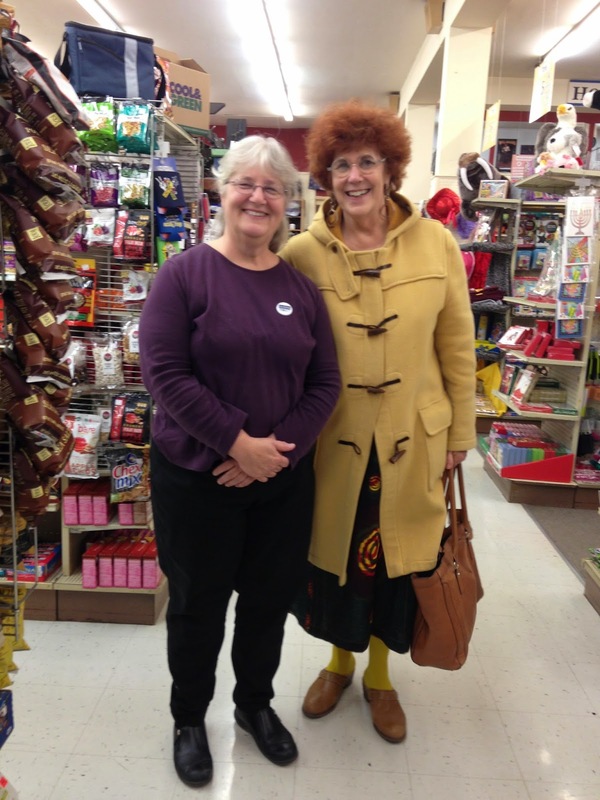 Ann's reading turned into something more personal and fun——chats with Krista's customers who may have been shopping for specific items, but were happily led astray. Long has made of the whole store a neighborly zone where people express their curiosity, socialize, chat, and philosophize. 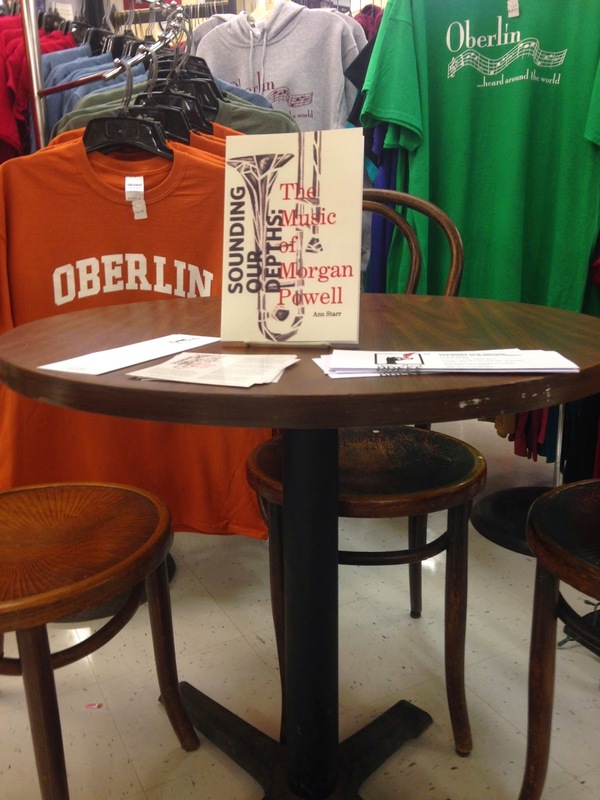 What better place to talk about books than at the Oberlin five and dime? Nothing of the pickle-barrel, warm familiarity at LOGANBERRY BOOKS in Shaker Heights, Ohio. Here it's more the coziness of Edwardian garden chairs, oriental rugs, and high tea in the library. And what a library! This exquisitely decorated store boasts floor-to-ceiling shelves in every one of its long line of rooms. The solicitous staff makes an author feel like she has a home in a bookstore——in every imaginable sense. Loganberry celebrated its twentieth anniversary in December. So many years have to testify to the strength of Loganberry's bonds with its neighbors. But an itinerant author could sense that without knowing the history. Starr lived many years in Wellesley, Massachusetts. When she did, she took her children book shopping at the legendary NEW ENGLAND MOBILE BOOK FAIR in Newton, the next town east. No, it's not as big as Powell's or Strand or Seminary Bookstore: But it's big enough to occupy an industrial warehouse space and to make even an adult feel like she's gone to another country when she's gone to purchase a title (NEMBF motto: "I Only Came for One Book!"). The courtesy of a prepared introduction only added to the pleasure of presenting in the most magical of all spaces——where the author had enjoyed at one small remove the primal freedom and joy of childhood book-buying.